Lou Ferrigno, John Steiner, Roland Wybenga et al. A dazzling adventure of faraway lands and heroic spectacles, this heart-soaring epic follows the brave Sinbad the Sailor (Lou Ferrigno) in a rousing tale based on Edgar Allan Poe's short story "The Thousand-and-Second Tale of Scheherazade". 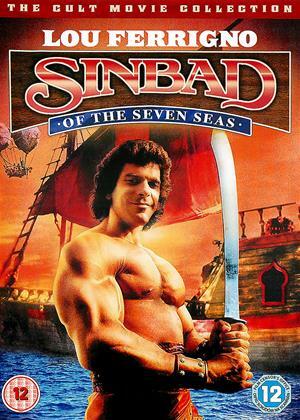 Sinbad discovers that Jaffar, the evil Vizier to the good Calif of Basra, has placed a spell on Basra, turning its people into animals and enslaving the mind of the Calif. Sinbad sets forth on a journey to retrieve the five sacred gems of Basra that will defeat Jaffar, which Jaffar has dispatched to places of great evil. He must succeed before Jaffar's spell saps the will of the Calif's daughter Alina, the beloved of one of Sinbad s crewmen, and forces her to marry him.